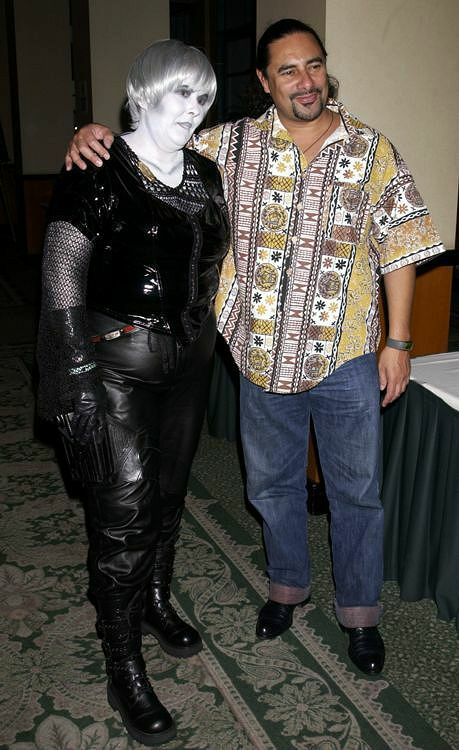 The Official Farscape Convention convened on November 21 to 23, 2002 at the Burbank Airport Hilton Hotel. 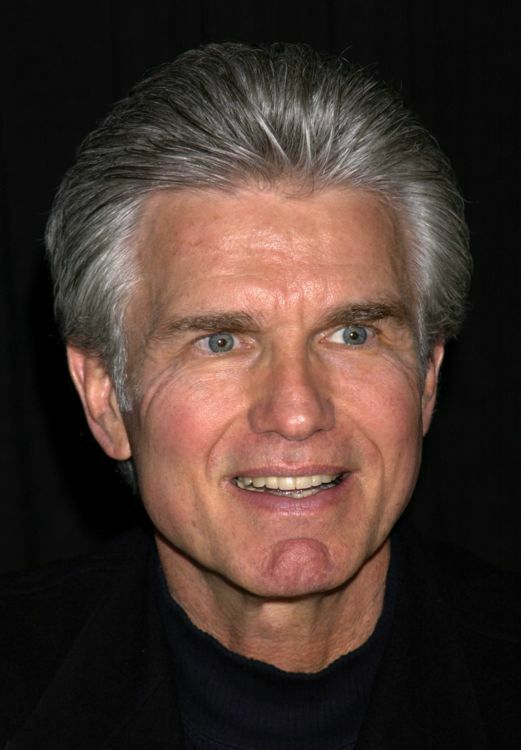 Fans attended from around the world, and although everyone was upset about the recent cancellation of the series by Sci-Fi, hopes ran high that some sort of revival was in the not too distant future. 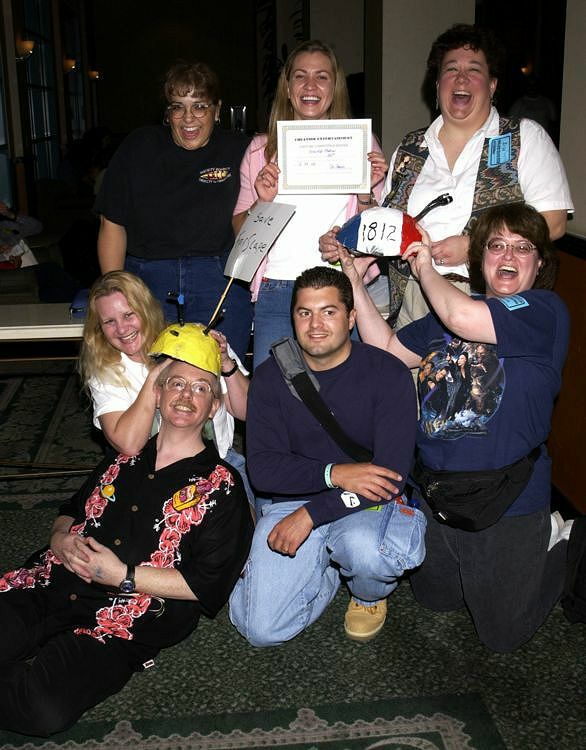 Everyone had an awesome time at the convention, which was quickly followed the next week by an East Coast edition, at the Brooklyn Marriott Hotel. With great guests, fun events and contests, rocking parties, and loads of fellow fans it was two back to back weekends to remember. 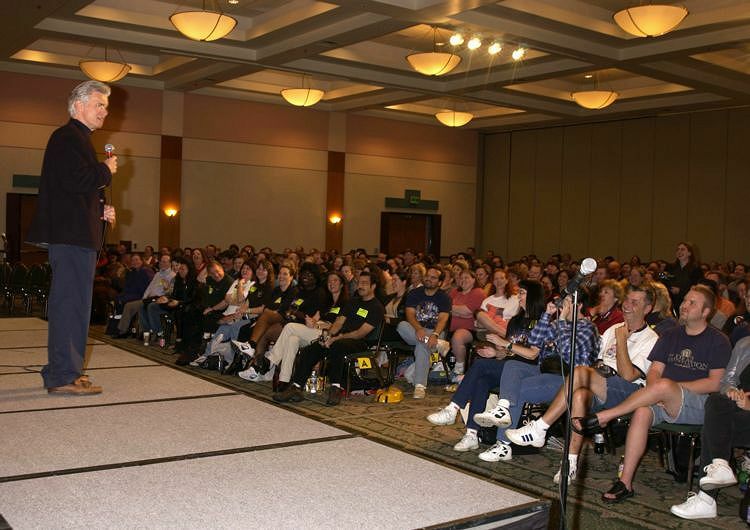 Here, courtesy of Albert Ortega, are some shots from the Burbank Convention! 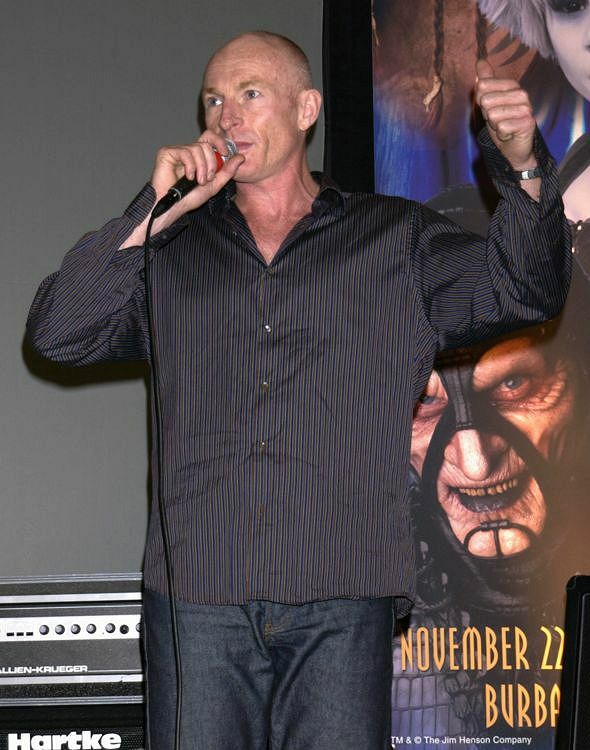 Wayne Pygram portrays Scorpius, one of the medium's greatest villians. In person, he's as lovable as they come! 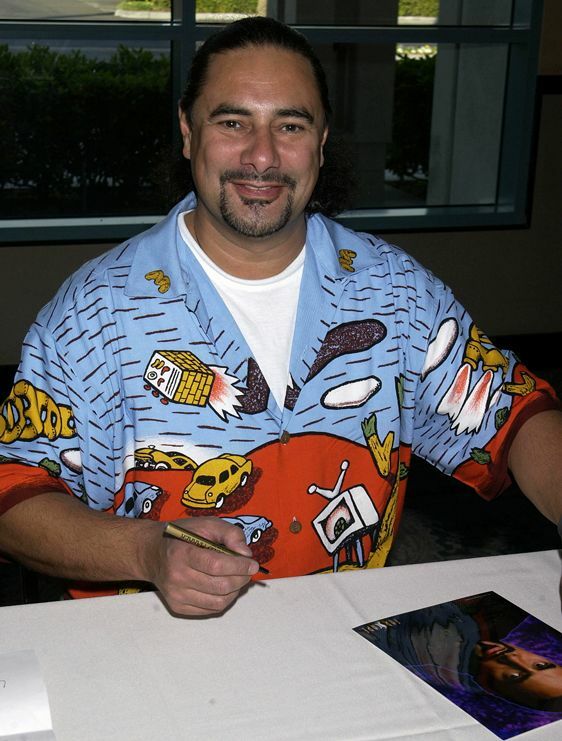 Lani Tupu was a surprise guest at the event, signing autographs and also appearing at the convention. Thank you Lani! One of the great parts of a Creation event: where else could you hang with the Exec. 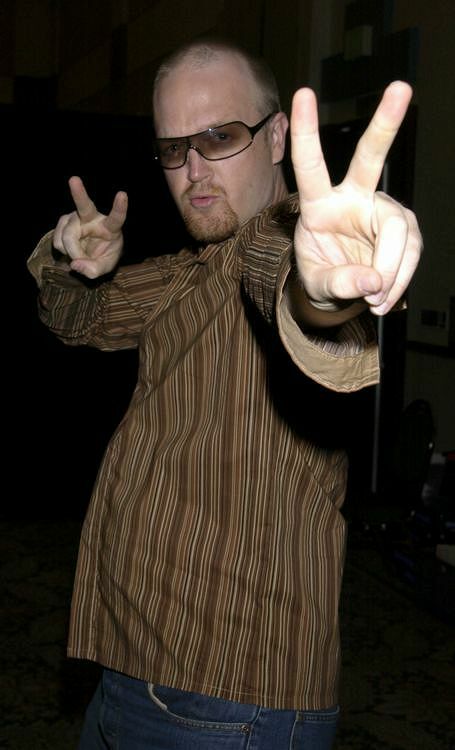 Producer of the show we love! Surely the big hit of the Burbank show was the Band Number 96 featuring Wayne and Anthony. 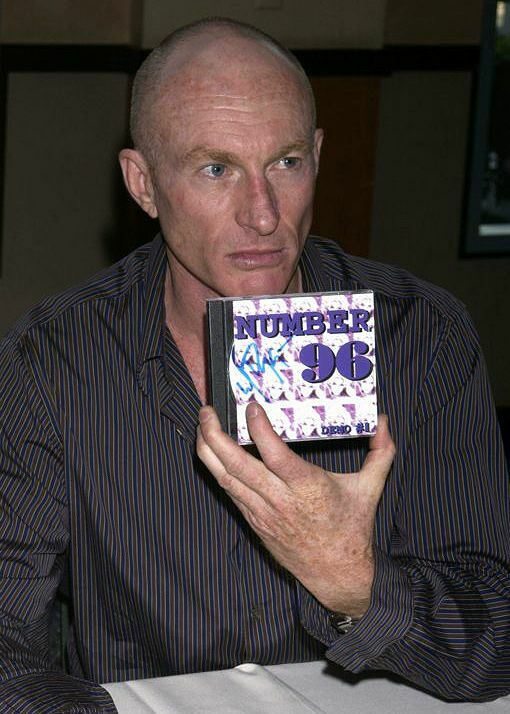 Wayne is seen pushing the debut CD of the group! 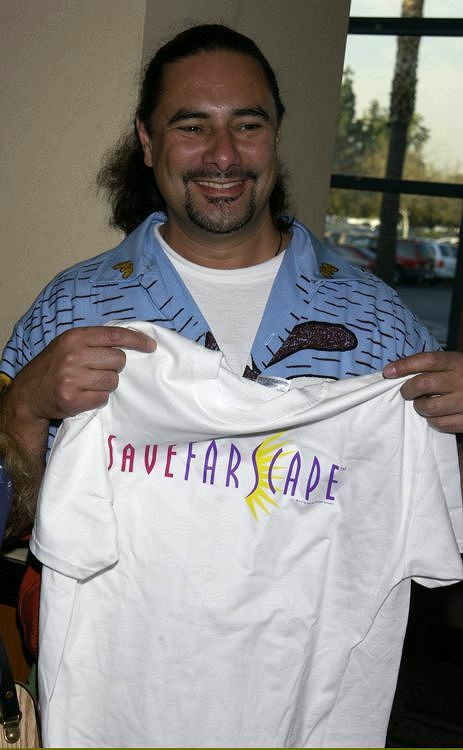 "Save Farscape" T-shirts were popular. Even Lani couldn't resist 'em! 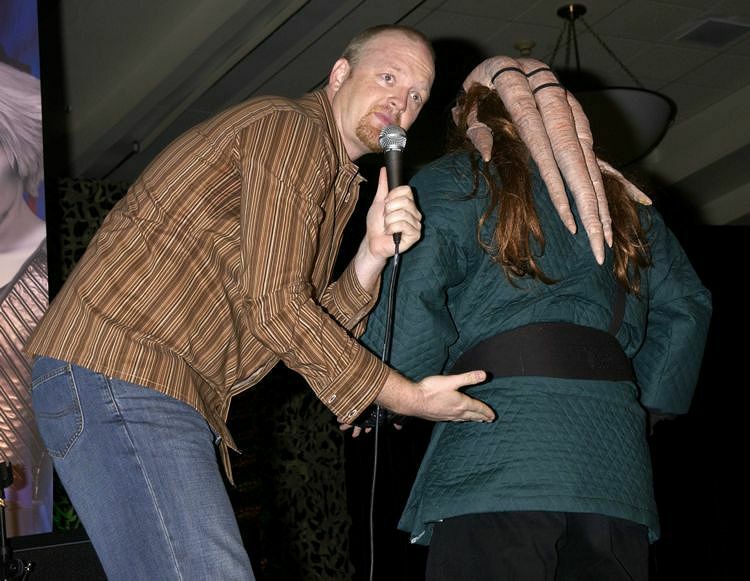 Fans meeting stars: it is what makes Creation events so special! Kent in front of a packed house! Still Cool after all these years!